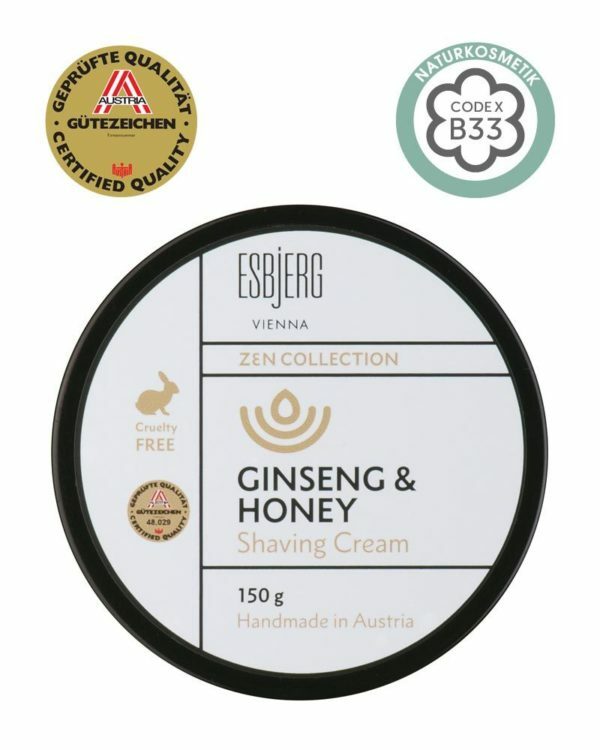 The new Shaving Cream Ginseng Honey of the ZEN Collection of ESBjERG pampers at the highest level. The combination of the earthy ginseng root and the seductive sweet of the nutrient-rich honey result in a rounded-off and complete scent. The ZEN Collection of ESBjERG is made entirely after the Austrian Natural Cosmetic Code B33 and the Austrian Quality Label.